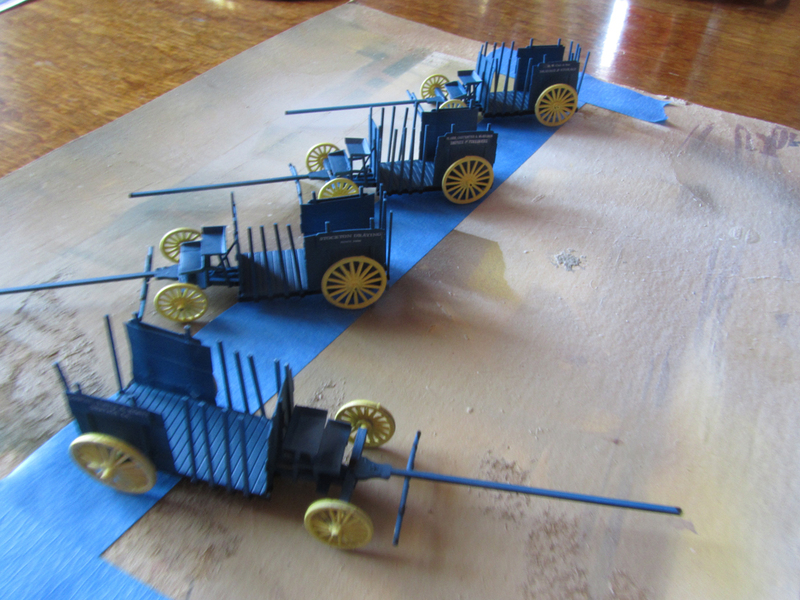 Building four drays is not much more difficult that building one so I now have a supply for Stockton when that city needs them. One of the more interesting or, perhaps, unfortunate tendencies I have is to get sidetracked by arcane technology. If you have been reading this blog, you can see that wagons have been the latest of those detours. 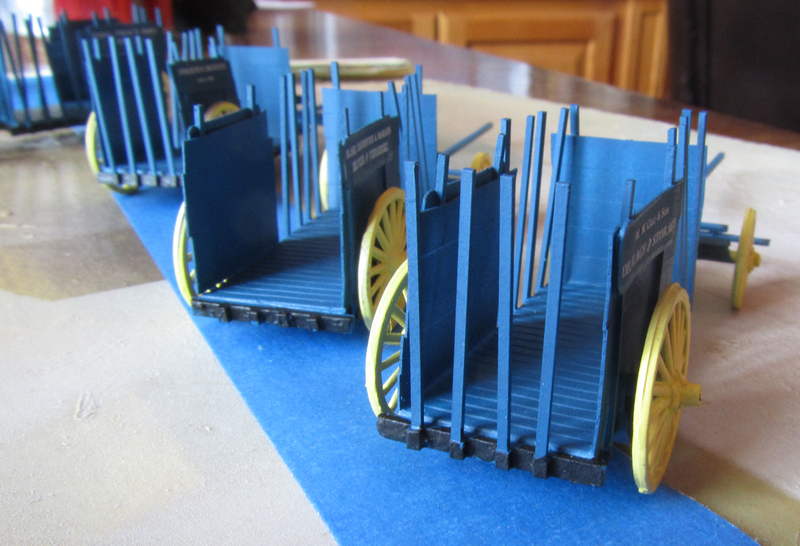 It has been fun but the railroad needs more cars, locomotives and everything that goes into a layout, so this will be the last of the wagons for at least a while. was used as the basis for my models. These peculiar-looking vehicles are called drays and were designed to haul heavier cargoes, hence their low-slung design. Because of this design, they were mostly used in cities where the streets were smoother than the roads encountered away from town. Old photos of Sacramento, San Francisco and Stockton show many of these vehicles so I decided to build some. The inspiration comes from photos I took several years ago at Old Sacramento. 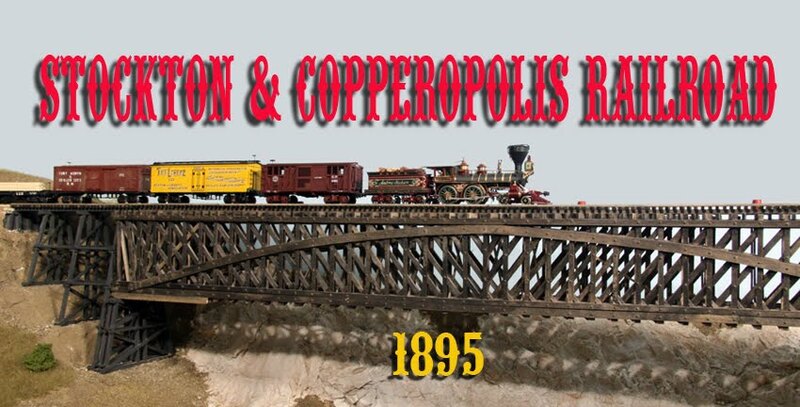 They weren't quite enough to build a good model so I contacted my friend, Kyle Wyatt of the California State Railroad Museum, who was able to give me additional information. Most of the drays are lettered for actual drayage firms operating in Stockton in the 1800s. This one, however, was named for a friend. There is not much to the construction. 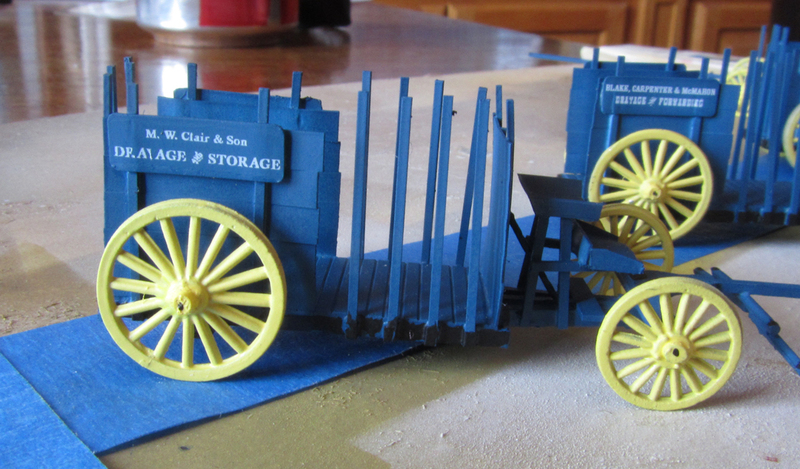 All of the parts are of styrene except for the wheels which are SS Ltd.'s small and large wagon wheels. They matched pretty closely to the size of the prototype and had the hefty appearance needed. The long side stakes fit into stake pockets. I had first thought of using manufactured stake pockets but they are much too large so I built these using a styrene rod cut to the right length. The stake was just attached at the top of the "pocket." 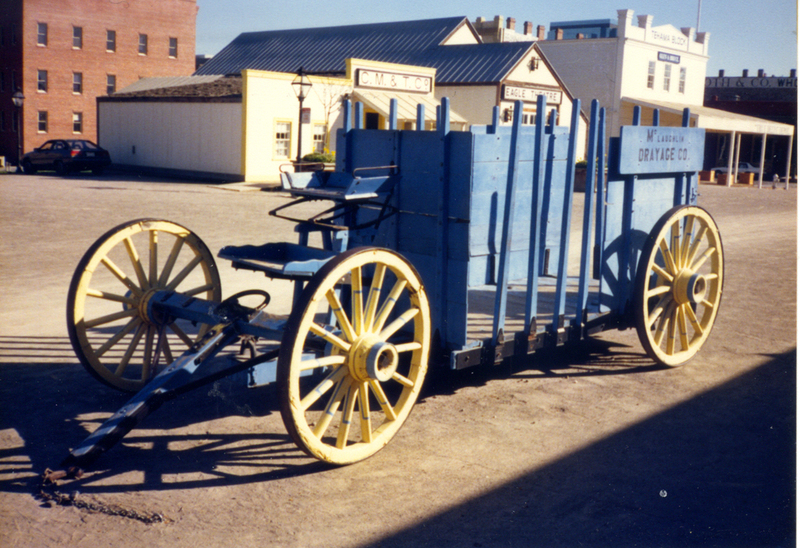 Easy loading is the advantage of a dray over a straight wagon. They are small enough that the lack of a hole in the empty pockets is not really noticed. The lettering is mostly for actual drayage companies operating in Stockton during my era. Horses are now on order from Jordan Products so I can provide some power for the drays. The next project will be two more locomotives which are now sitting in pieces on my workbench awaiting new motors, decoders and a paint job. By the way, take a look at a new blog on the Southern Pacific (http://southernpacifclines.blogspot.com/). It should prove interesting.